The royal empress tree (Paulownia tomentosa) produces seeds in seed pod clusters that hang from its branches like grapes. Each of the globular seed pods contain up to 2,000 small seeds. 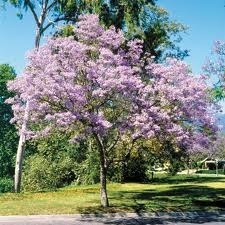 And a single royal empress tree can produce as many as 20 million seeds. So when the seeds are ready for harvest in fall, you’ll have no shortage of them. But you must harvest the pods before they break open and release the tiny seeds into the wind. Monitor the seed pods on your royal empress tree weekly beginning in early September when the seed pods are brown. When a few of the seed pods open, it is time to harvest. 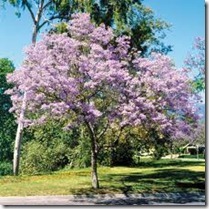 Pull a cluster of cracked or unopened seed pods from the tree. Lay the seed pods on a sunny windowsill for roughly one week until they are dry. Place the pods in a paper bag and gently crush them with your fingers or the palm of your hand to release the seeds. Collect the seeds in the bottom of the bag. Royal empress tree seed germinates readily. In fact, it is considered a weed in many places. Simply scatter the seed on the surface of moist soil and it will germinate within two weeks.